Did you Know a NJ Temporary Restraining Order May Become Permanent? | We get results! Free consultation. Se habla español. Home » Criminal Court » Did you Know a NJ Temporary Restraining Order May Become Permanent? Did you Know a NJ Temporary Restraining Order May Become Permanent? How Does a NJ Temporary Restraining Order work? NJ Temporary Restraining Order (TRO) is intended to temporarily protect an individual from harm or harassment by another party. A person can independently make this filing with the Court and it will then be served on the allegedly offending party. Your rights may be restricted by this order, which may require you to stay a certain distance from the person seeking the order, or it may also require that you avoid all contact, even text messages, with that person, their family or friends. 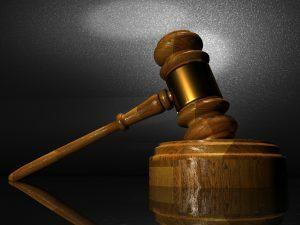 If you have been served with a TRO, and the order includes allegations that you contest, you must take note of the scheduled court appearance date. This date is your chance to defend yourself against these allegations. What you did not know is that New Jersey is unlike certain other States across the country. A TRO may become a permanent restraining order, if you do not appear for this hearing. This is likely your only chance to testify and defend the allegations against you in domestic violence court. At this hearing, a Judge is going to make a determination on whether the allegations of domestic violence are enough to enforce the TRO and enact a Permanent Restraining Order. If you are not there, or do not present a defense, You are almost guaranteed to have an order entered against you which permanently restricts your rights to interact with this person, or possibly even a location such as your own living space. The standard applied against you in Domestic Violence Court is not the same strict standard, ‘beyond a reasonable doubt’, that is necessary for a conviction in the criminal court. It is a more relaxed standard, which is necessary to temporarily protect those who are really in need of urgent protection. 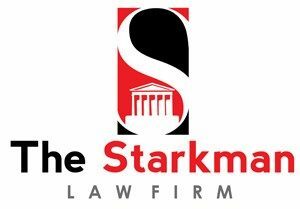 If you have been served with a NJ temporary restraining order, contact the Starkman Law Firm to discuss your rights NOW before you speak to the Court. If you have a meritorious defense, you must present it now. Do not assume that you can have this protective order lifted at a later time. Once a Permanent order is issued, it may be too late to protect yourself. Traffic stop? What should I do?